Of all the vital elements that go into maintaining a healthy canine, their nutrition stands hard to beat. 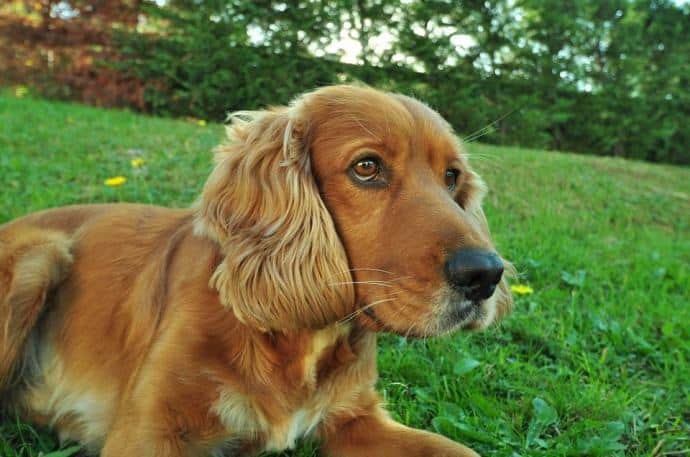 With so many commercial dog foods saturating the market and the absolute ease of being able to simply grab and go, it’s all too common for pet parents to be led astray when searching for the best dog food for Cocker Spaniels. 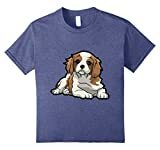 What do we think is the Best Dog Food for Cocker Spaniels? Remember: There are so many choices of Dog Food available. We simply couldn’t possibly review them all. These recommendations are based on our research and testing. It’s always advisable to check with your veterinarian if you have any specific questions about your Dogs diet or before making any changes. Just as your diet affects the way you look, function, and feel, so, too, does your dog’s. It’s absolutely essential that you know the ins and outs of what to feed (and not feed) your dog to avoid the risk of any potential disease or other serious health issues. Plus, keeping your four legged companions properly fed will allow them to live happy, carefree lives full of fun and play. Before we get into too much detail, let’s start with the basics. First off, never believe a claim on a bag of dog food just because it’s there. A quick walk through the food aisle at any pet store will reveal hundreds of labels claiming a well-rounded diet, or 100% daily nutrition fulfillments. The fact of the matter is, your dog is different from your neighbor’s dog, and theirs different from the next. Just as all humans cannot eat the same foods, neither can animals. The best way to remedy this problem is to consult your vet. What does your dog need in their diet? Always be specific. Inadequacies in this area can quickly lead to a sick and malnourished dog. The second basic “go-to” knowledge point to keep in mind is that you should always read the label of whatever dog food you’re purchasing. You’ll quickly realize that, while the front of the package might read one thing, the label probably says something completely different. Look for “filler” ingredients, especially when they’re listed first. The best way to identify these is to pick out the ones you don’t recognize or can’t pronounce. Never heard of the first, second, or even third ingredient on the list? Choose another brand. Once you’re aware of these basic fundamentals, you can move onto the next set of decisions. As PetMd.com suggests, when deciding between wet and dry dog food, consider your dog’s current situation and how it would be affected by either type of food. Should you feed your Cocker Spaniel Wet Food? Is your dog older, possibly with sensitive gums or lost teeth? Does your dog have a hard time staying hydrated? Wet food might be the best option. Often times, dogs with mouth sensitivities have an easier time consuming wet food because of its consistency. With the added water, it can also help increase their hydration levels. 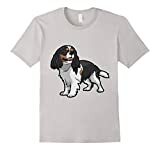 Or, Should you feed your Cocker Spaniel Dry Food? On the other hand, dry dog food can be great for breaking built up tartar off of dog’s teeth. It also has a much longer shelf life than wet food, which adds to the convenience level tremendously. That being said, dry food is also notoriously processed and jam packed with fillers and unnecessary ingredients. 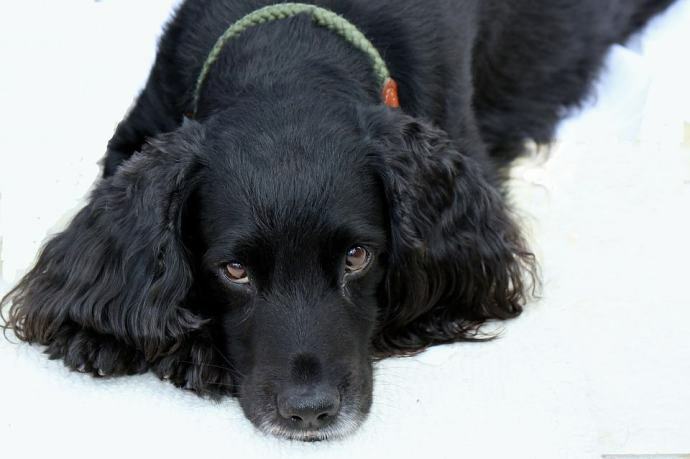 If dry food is what suits your dog, be adamant about choosing only the highest quality best dry dog food for cocker spaniels. that your budget will allow for. It’s vital that your canine gets the required nutrients to keep them healthy and happy for years to come. It’s all too easy to let your pup grab hold of something off the table or kitchen counter. When considering their health, though, one bite of something off limits can bring on a world of danger. Dog’s bodies differ from humans in that their systems can’t always break down or filter certain foods. Grapes and/or Raisins: Permanent and life threatening kidney failure can result in some dogs after eating either grapes or raisins. Chocolate: The seriousness of ingesting chocolate depends on your dog’s size, but it’s harmful regardless. Chocolate is toxic for dogs and can even lead to death. Avoid letting your dog near any type of chocolate to ensure their safety. Onions: One scrap on the floor typically shouldn’t be cause for concern, but ingesting large amounts of onions can lead to anemia in dogs. Xylitol: Many sugar-free products have this ingredient listed, and it’s becoming more and more popular by the day. Even in small doses, dogs can suffer from liver failure and death after consumption of xylitol. Apple Seeds: While apples can make a healthy addition to your dog’s diet, the seeds contain a certain form of cyanide, which their digestive systems can’t handle. If you do feed your dog apples, cut them into slices to make sure all seeds are removed. Any food with a pit: These foods pose a serious risk for dogs who end up ingesting the pit without even realizing it and possibly even choking. Of course, some “human food” is okay for your dog to snack on every now and then. Shrimp: As an occasional snack, fully shelled and cooked shrimp with the tail, head, and legs removed can be a healthy snack for your dog. The antioxidants and nutrition profile make it a healthy alternative to processed treats. Eggs: As long as they aren’t raw, your dog’s diet can include eggs. Peanut Butter: Raw and unsalted peanut butter can make another healthy snack option. You’ll enjoy watching them eat it as much as they love snacking on it. Yogurt: Plain yogurt is a great source of calcium and protein. As long as there aren’t any artificial ingredients, your dog can take part. Fish: Fully cooked fish can provide a huge amount of vitamins and nutrients to your dog. Raw fish, on the other hand, can contain harmful bacteria. Make sure to do the prep if you’re giving your dog this healthy snack. Some Spaniel owners opt to cook their own dog food rather than buying it processed. Of course, this practice comes with its own set of healthy and not so healthy side effects. A raw food diet can be extremely healthy and beneficial to your dog, especially if they’re prone to food allergies. However, as CesarsWay.com points out, it’s surprisingly easy to slip up and feed your dog ingredients that aren’t up to par. If you do opt to go this route, speak to your vet and a dog dietician first. With all that being said, when it comes down to it, the best thing to do is choose the right option for your dog. Choose the best protein sources: Whether you’re buying dry or wet food (or otherwise), always opt for the best protein source your money can buy. Look for single ingredients, like chicken or beef, instead of “poultry meal,” for example. Look for whole grains and vegetables: After meat, make sure the ingredient list includes whole grains and vegetables so that your dog gets all the nutrients it needs. “Carrots” would get the thumbs up, but “corn meal” wouldn’t, for example. Now you know a little more about what your Dog needs, let’s take a look at our top choice. 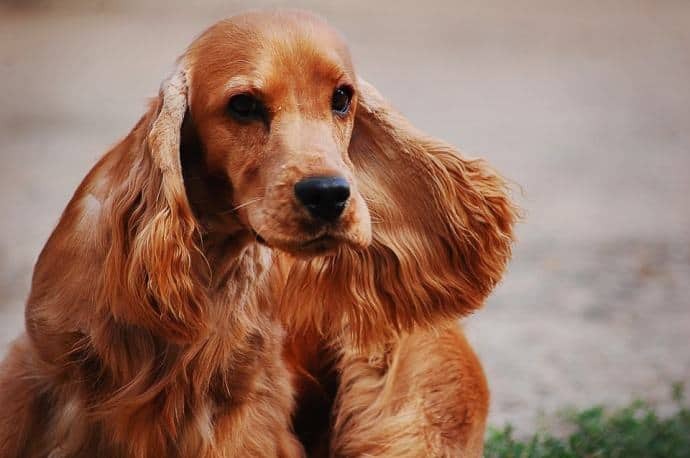 Your Cocker Spaniel is an energetic Dog. It needs a proper balanced and healthy diet. 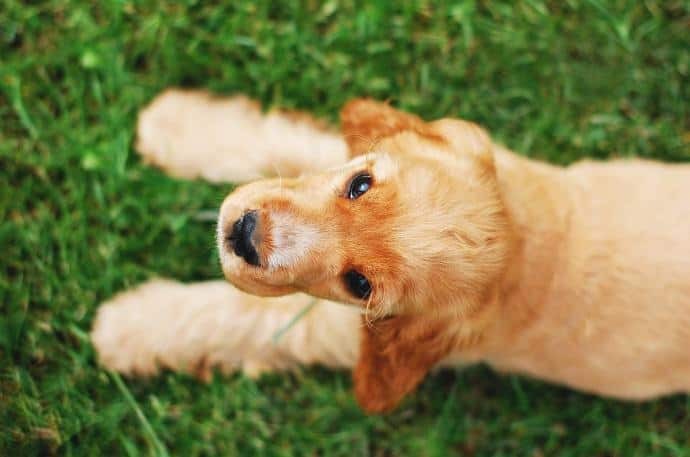 Taste of The Wild, Canine Formula offers the perfect balance to give your Cocker Spaniel the fueling it requires. Available in a range of 6 delicious flavors, there is sure to be one that your canine can’t resist. With a little planning and some help from a vet, your dog should thrive on its healthy diet. High-quality food is absolutely essential to a long, wellness-filled life. Always remember that your dog can’t decide what food it eats; that responsibility is up to you. Personally I would go for with chicken and potatoes, no rice of any description, trout or salmon would be OK but not something you want to feed everyday, white fish should be no more than once a week. As for grain free, not something I would leave out. Thanks for your comment James. Do you have a preferred brand of food for your Dog? Have you ever tried Raw diets or anything else a little more unusual? Thanks for this informative article. I love feeding my dog this diet. I made the switch a few months ago and haven’t looked back. It took some research and effort to get everything right but I know that my dog is healthier now than he’s ever been. I really benefit from your article, now I know better. Thank you! This is exactly what I’ve been looking for.